Crown standard, Earth & Originals emulsion 2.5L. Can you only paint crown or can your also paint tiaras? @loiterer It's not "rubbish" paint, it's a decent standard. Granted, it's not as good as the trade varieties of Crown or Dulux but it's better than overpriced crap like Farrow & Ball. i thought crown was good, until i used dulux, thats great. 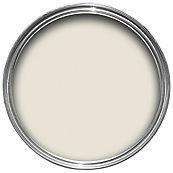 by the way dulux is a hell alot cheaper in the range £16 - £18 where in homebase its £20 plus. @loiterer It's not "rubbish" paint, it's a decent standard. Granted, it's … @loiterer It's not "rubbish" paint, it's a decent standard. Granted, it's not as good as the trade varieties of Crown or Dulux but it's better than overpriced crap like Farrow & Ball. farrow & ball paint rubbish? i think not yes its more expensive but worth the extra expense. Ouch forgot how much paint is normally, hooray for trade price/quality, not a bad deal though. there is also buy two and get the third one free in my local bandq in chingford. all brands from crown, dulux to bandq brand. if anyone putting paper up b4 painting,the lining paper at the trade centres better quality as the diy sheds, nicer smoother finish, no contest rally, if its on offer can be just as cheap,esp paste, the diy sheds value ranges linings,paints etc to be avoided if possible, fairly poor, its surprising how cheap the paint trade places can be, they r hungry for retail trade in till nowadays! free advice/del, and sometimes will pricematch diy sheds on items, they worth a try, my local tile hardwear shop soo much cheaper than wickes for various things its unreal! Did anyone else read this as "Clown Pants"? Why? Please give us your expert knowledge on Crown Emulsion paint. I want to do some painting in my house and want to make sure I do not purchase the wrong paint. Why? Please give us your expert knowledge on Crown Emulsion paint. I want … Why? Please give us your expert knowledge on Crown Emulsion paint. I want to do some painting in my house and want to make sure I do not purchase the wrong paint. Nothing wrong with it mate IMO, I've just painted my whole flat out thanks to this offer, the colours are great, the coverage is great, the quality is great... for the price. No complaints here. I didn't really read the full post But it is not made clear. Is this stanadard matt emulsion. I that case i fear it is expensive. My local trader can mix colours in vinyl matt-10l from white base to produce colours for £25. Mcphersons. From base 5l colours mixed for £19. I didn't really read the full post But it is not made clear. Is this … I didn't really read the full post But it is not made clear. Is this stanadard matt emulsion. I that case i fear it is expensive. My local trader can mix colours in vinyl matt-10l from white base to produce colours for £25. Mcphersons. From base 5l colours mixed for £19. This offer covers matt and silk emulsion in the Crown standard, Earth & Originals ranges, size 2.5L, meaning you get 5L for £18.98. You can mix and match too, as in you dont have to buy 5L of the same colour, you can buy 2.5L of one colour and take 2.5L of another colour free. farrow & ball paint rubbish? i think not yes its more expensive but worth … farrow & ball paint rubbish? i think not yes its more expensive but worth the extra expense. It's gives poor coverage due to its lower pigment content and has a tendency to flake on bare plaster. I'm a qualified decorator so preparation is not the problem. Farrow & Ball is lower quality than Dulux and Crown retail brands yet is overpriced due to the eco nonsense and branding the middle classes and upper class wannabes love.